As the 21st century approaches, there is little doubt that the tools and resources are available to unlock all the secrets of Quantitative Structure-Activity Relationships (QSAR) in order to design more efficient drugs and safer chemicals. The comparison QSAR models provide are a key to reach a deep understanding of the foundation and a better optimisation of the use of these statistical tools. Seeking out the similarities and differences among QSAR Models allows the user to estimate their simulation performances, find chemo-taxonomical links, and uncover In vivo/In Vitro relationships. 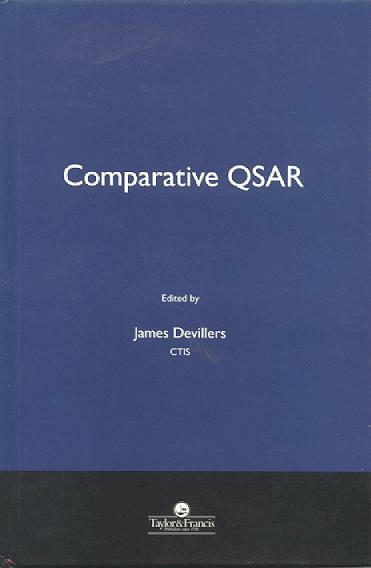 The purpose of this book is to highlight the multifaceted aspect of the term "comparative QSAR" by bringing together QSAR experts of various origins and allowing them to offer their views on this diverse subject. 1. Comparison for Fish Bioconcentration Models J. Devillers, D. Domine, S Bintein and W. Karcher 2. QSARs in Aquatic Toxicology - a Mechanism of Action Approach Comparing Toxic Potency to Pimephales promelas, Tetrahymena pyriformis and Vibrio fischeri T.W. Schultz, G.D. Sinks and A.P. Bearden 3. Comparative QSAR and 3D-QSAR Analysis of the Mutagenicity of Nitroaromatic Compounds R.L. Compadre, C. Byrd and C.M. Compadre 4. Some Novel Approaches to Modelling Transdermal Penetration and Reactivity with epidermal proteins P.S. Magee 5. Contribution of Structure-Odour Relationships to the Elucidation of the Origin of Musk Fragrance Activity D. Zakarya and M. Chastrette 6. QSAR Analysis of Protoporphyrinogen Oxidase Inhibitors K.N. Reddy, F.E. Dayan and S.O. Duke 7. Comparative QSAR of the Inhibition of Dihydrofolate Reductase C.D. Selassie and T.E. Klein 8. A Generalised Approach to Comparative QSAR C. Hansch, H. Gao and D. Hoekman. Bintein, Ministry of the Environment, France, C. Byrd, University of Arkansas for Medical Sciences, USA, M. Chastrette, University of Lyon, France, C.M. Compadre, University of Arkansas for Medical Sciences, USA, R.L. Compadre, University of Arkansas for Medical Sciences, USA, F.E. Dayan, University of Mississippi, USA, J. Devillers, CTIS, France, D. Domine, CTIS, France, S.O. Duke, University of Mississippi, USA, H. Gao, Pomana College, USA, C. Hansch, Pomana College, USA, D. Hoekman, Pomana College, USA, W. Karcher, Ispra Establishment, Italy, T.E. Klein, University of California, USA, P.S. Magee, UCSF School of Medicine, USA, K.N. Reddy, Southern Weed Science Laboratory, USA, T.W. Schultz, University of Tennessee, USA, C.D. Selassie, Pomana College, USA, G.D. Sinks, University of Tennessee, USA, D. Zakarya, Faculty of Science and Technology, Morocco.